On September 7, 2014 the Kingsport Police Department was alerted to an incident of embezzlement by an employee of Frank Theaters, located inside the Kingsport Town Center at 2101 Fort Henry Drive in Kingsport. Officers spoke with an assistant manager who reported that when he opened the theater that morning he discovered that approximately $3,000 was missing from the safe. Further investigation revealed that two deposits, totaling an additional $3,000, had never been delivered to the bank. The theater’s general manager, Ashley M. Carroll, had closed the business the night before and was responsible for the deposits, so she was quickly developed as the suspect. K.P.D. Detectives have been searching for Ms. Carroll since this investigation began, but they have been unable to locate her, concluding that she has absconded with the missing $6,000. 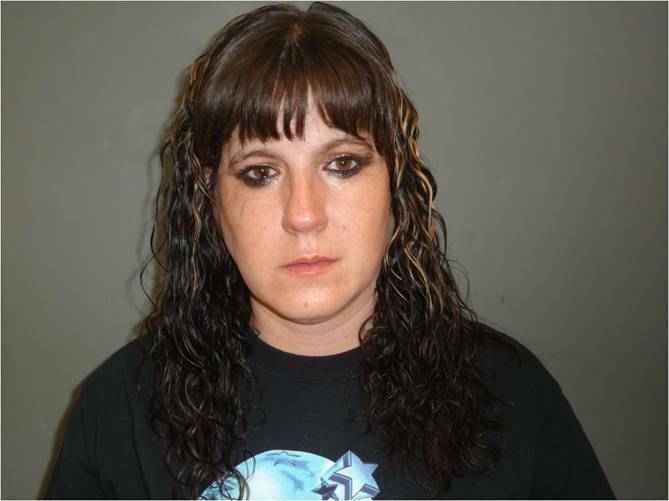 A warrant has been obtained for her arrest, charging her with Theft over $1,000. Ms. Carroll is a 39 year old white female with brown hair and brown eyes. She is 5 feet, 4 inches in height and weighs approximately 140 pounds. Her last known address was 1612 Blackmore Street in Kingsport. Detectives are asking for anyone who may know where she can be located to contact them in the Criminal Investigations Division at 423-229-9429, or call Kingsport Central Dispatch at 423-246-9111.